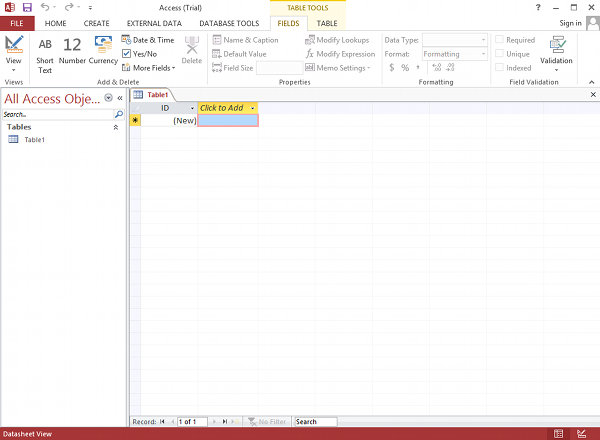 Learn Microsoft Access, starting with the basics. 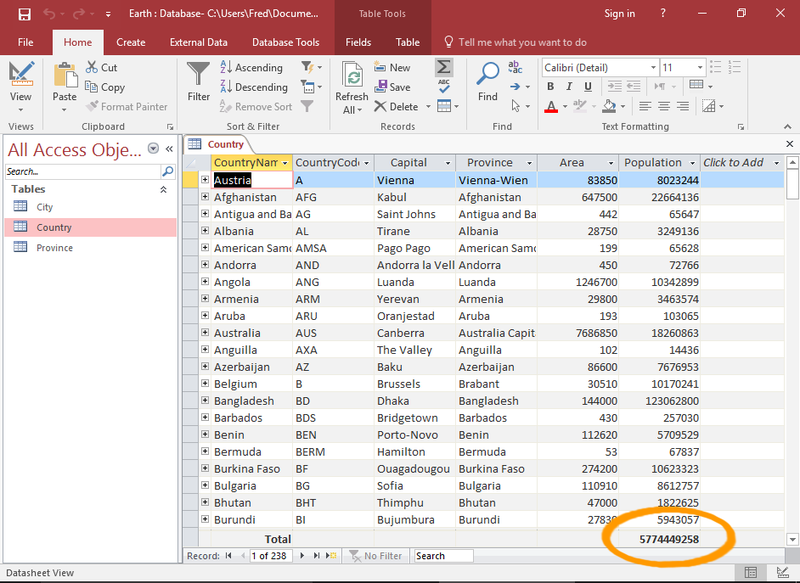 Create a database, tables, add a form, query data, and more. This tutorial uses Access 2016. For other versions, see below. This Microsoft Access tutorial is aimed at anyone who wishes to learn how to use Microsoft Access. It assumes a basic understanding of databases and how they work. Large list of "how to" articles that show step-by-step instructions for doing common tasks in Access. Includes mini-tutorials for doing things like, creating a totals row, creating a parameter query, password protecting your database, doing a mail merge, and much more. If you don't currently have an understanding of how databases work, no worries — I have written a basic database tutorial just for you! 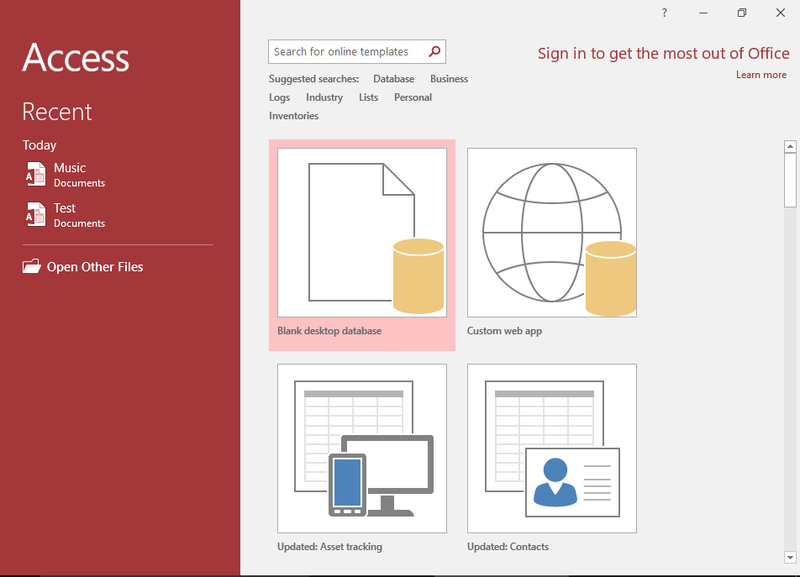 This tutorial covers the basic concepts of databases, and the examples use Microsoft Access, so that will make it easier for you once you return here. Here are tutorials from previous versions of Access. 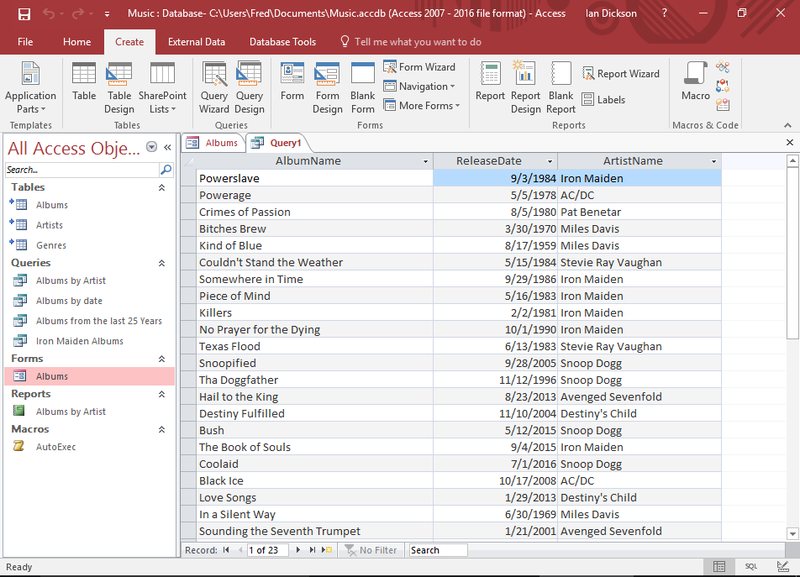 Microsoft Access 2013 is the predecessor to Access 2016. There's not much difference in functionality between Access 2016 and 2013, so you could do both tutorials with either 2013 or 2016. Check out what Access used to look like back in 2003! See how far Access has come since the early days.